Enjoy the best inspirational, motivational, positive, funny and famous quotes by Apolinario Mabini. Use words and picture quotations to push forward and inspire you keep going in life! 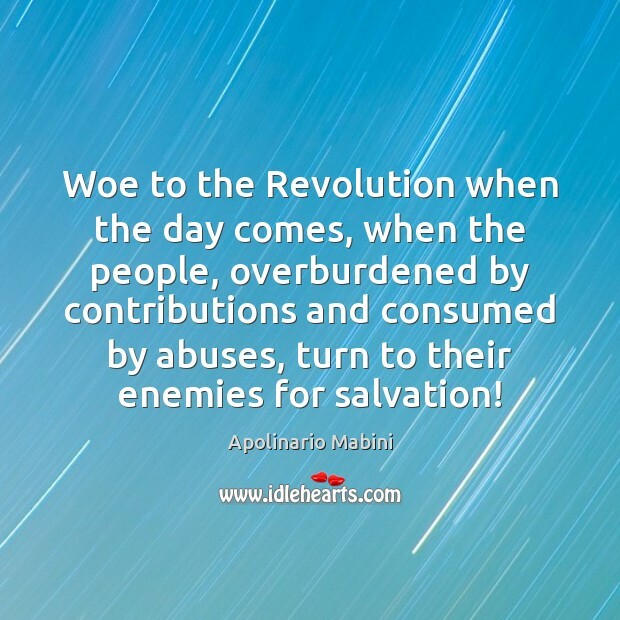 Woe to the Revolution when the day comes, when the people, overburdened by contributions and consumed by abuses, turn to their enemies for salvation!